Pack the entire bag of fresh spinach into a large pot and add water to cover. Top the pot and cook the spinach until wilted. Drain the spinach. Rinse with cold water to stop cooking. In a large bowl. 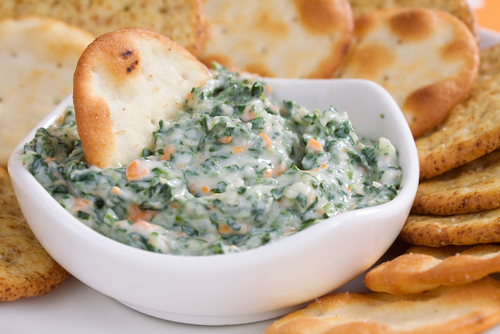 Mix the freshly cooked spinach with olive oil mayonnaise, garlic powder, dried parsley, salt and pepper. Cool in the refrigerator for a couple of hours before serving.